the General Superior of PIME, Fr. Ferruccio Brambillasca. Over the course of its half a century of presence in this Asian country, in addition to the martyrdom of three of its priests, PIME has faced many difficult situations. However, the challenges of the mission continue along new frontiers. In the collective imagination, the Philippines is a Catholic country; indeed, statistics point to it as the most Catholic country of Asia (85% of the population is baptized). The equation, therefore, would like it to be an “easy” country from the missionary point of view. The truth is that the Philippines is indeed a country with a very large Catholic majority, but in the South there is a substantial Muslim presence, tempted by growing fundamentalism. The return to democratic life dates back to 1986, with the fall of dictator Ferdinand Marcos, thanks to what was called the “Revolution of the Rosaries”. However, even today, more than thirty years later, after a series of political figures that were anything but memorable the Philippines are again confronted with another disturbing character: the president-master Rodrigo Duterte. The same history of PIME in this country, this year at the turning point of half a century, confirms that this context is not at all simple. Indeed, it is “missionary” from all points of view. 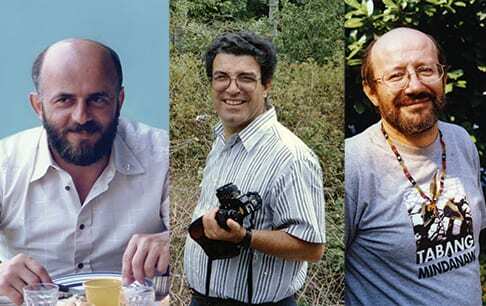 In the last fifty years the Institute has seen some of its priests expelled, vocations in crisis and, above all, the martyrdom of three priests over a period of thirty years: Fr. Tullio Favali (1985), Fr. Salvatore Carzedda (1992) and Fr. Fausto Tentorio (2011). Christ’s Mercy to the people of the Philippines. The PIME Mission in the Philippines is certainly interesting, and perhaps even exemplary of the missionary ad gentes adventure. Ultimately, it has been a constant, personal and communal exercise of the discernment of God’s will. It has been an exercise that has been anything but simple: among all of the PIME missions it has known, perhaps, the greatest number of failures, of “changes of strategy”. A result of a complex and fluid situation at the same time coupled with various problematic factors. Chief among these problems: the thorny question of the political autonomy of the Island of Mindanao, the area where PIME has worked and works with greater investments of its Missionaries; the ever-increasing rigidity in fundamentalism of local Islam; and the fifty-year-long struggle between the “rebels” of the left wing of the New People’s Army (NPA) and the central government of Manila. It is difficult to count the exact number of PIME Missionaries who have been kidnapped over the years – as in the case of Fr. Luciano Benedetti in 1998 and of Fr. Giancarlo Bossi in 2007 – or threatened with death or, again, forced to change residence. However, from the moment that the experience of failure and docility are added to a story in such a capacity, it is understood that only God can truly govern as an integral part of any missionary story. Only then can we affirm that the history of PIME in the Philippines is beautiful and exciting, even if complex, provided that it is read with eyes of faith. establish a new Mission on the outskirts of the city they currently serve. Nowadays, there are 16 missionaries working in the country, more than half of them possessing over 60 years of age. PIME’s presence is concentrated in two areas: Manila, as well as its surroundings, and Mindanao the large island to the south where PIME is mainly active in the more rural areas. In Manila, Fr. Gianni Sandalo leads the parish of Paranaque, named after Mary Queen of the Apostles; on September 1st, Fr. Simone Caelli will take his place. Fr. Simone has held various positions so far, mostly in formation and pastoral care. Fr. Sundeep Pulidindi also works in the same parish; originally hailing from India, he is still engaged in the study of the Tagalog language. Fr. Gianni Re, regional superior for two terms (2009-2017) and Fr. 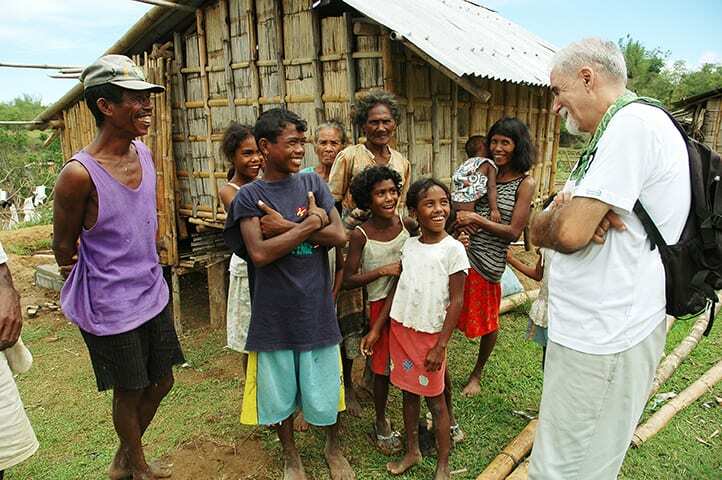 Sandro Brambilla, who had been working for many years in Mindanao reside in the Regional House in the capital, while helping out with parish work. Fr. 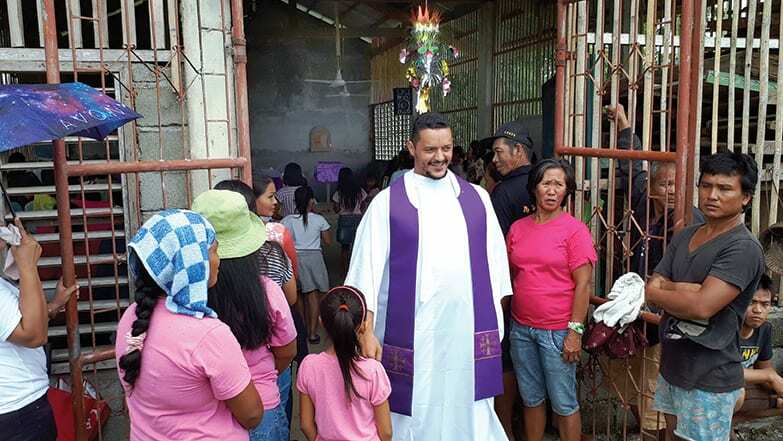 Giuseppe Carrara has been working in the Diocese of Imus for the last couple of years; south of the parish in Manila-Paranaque, where the capital is now expanding. If we move to the Mindanao area: Fr. Sebastiano D’Ambra engages in interreligious dialogue with the “Silsilah” dialogue movement in Zamboanga. Fr. Nevio Viganò was a parish priest of Sinunuc (near Zamboanga) for many years; his assistant, the Bengali Fr. Biplob Lazarus Mollick, will take his place as pastor in a few months. Even the regional superior, Fr. Fernando Milani, resides in Zamboanga, with pastoral commitments in the seminary and in neighboring parishes. In the Diocese of Ipil, bordering that of Zamboanga, the Brazilian Fr. Emerson Gazetta and Fr. Paulo Cezar Dos Santos operate in Sampoli; however, they have been asked by the bishop to start a new presence on the outskirts of the city of Ipil. Fr. Stefano Mosca and Fr. Ilario Trobbiani are active in Lakewood. Fr. Peter Geremia is also in Mindanao, but geographically he is distant from the places just mentioned in the Diocese of Kidapawan, there he has always worked among the tribal people and prison inmates. During the last few decades some PIME Missionaries have also worked in other areas: such as the diocese of Antique and the Vicariate of Western Mindoro. This was in an attempt to find alternatives to the delicate context of Mindanao, where they were the only foreigners present (the oblates of Mary Immaculate and the Claretians, in fact, have almost only local staff), but these presences did not last over time. PIME’s priority in the Philippines, since their arrival 50 years ago, has always been the poorest and most isolated. Along the fifty years of PIME’s history in the Philippines, beyond the various contingent situations, it is possible to trace a continuous red thread that unfolds in three directions. The first is their pastoral activity, which, in response to the requests of the local Church, has always sought the poorest settings and the most isolated communities. The second is the commitment to dialogue with Islam, especially, but not exclusively – just to mention the long and silent work of Fr. Vincenzo Bruno – through the experience well known to our readers: the “Silsilah” dialogue movement. Last, but not least, their dedication to the tribal cause, and the struggle in defense of their rights and their lands. 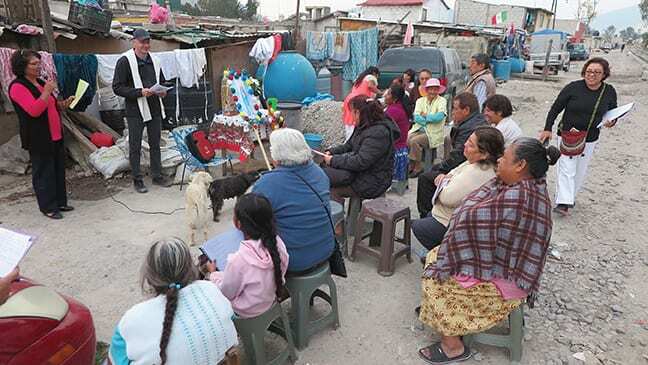 In a Catholic country of ancient tradition, which today has about 6,000 Diocesan Priests, PIME has always sought to place itself in those frontier contexts that typically fit it: as a missionary institute ad gentes. So it was from the beginning, starting from that fateful day in 1968 when the first PIME priests landed in the Philippines. Having turned down the offer of running the minor seminary of San Pablo, a position considered less than fully “missionary”, they took over the parish of Santa Cruz. They also made a commitment to the missionary district of Siocon in the Diocese of Dipolog and, shortly thereafter, in Tondo (Manila). Although the pastoral commitment required of PIME was in many ways similar to that of Diocesan Priests, they sought to develop it with genuinely missionary features and with an innovative spirit. The missionaries have brought a contribution that, errors and tensions notwithstanding, has been decisive for the Filipino Church to absorb the lesson of Vatican II and incarnate it in a context marked by a deep-rooted popular devotion, sometimes captive of exterior forms of religiosity. As Fr. Piero Gheddo wrote, “History has shown that the line chosen by PIME in the Philippines, both in the North (Tondo and Santa Cruz) and in the South, has had the great merit of waking up a still traditionalist Church, including bishops, priests and religious “(cf. pages 10-11). But how did PIME end up in the Philippines? PIME’s interest in this country was born of the initiative of a Canossian priest from Cremona, a missionary on the island of Samar: Fr. Angelo Saverio Zanesi. In 1966, he urged the Superior General, Bishop Aristide Pirovano, to send missionaries to the Philippines since many fathers were expelled from Burma at the same time. Bishop Pirovano, in January 1967 while on his way to Hong Kong, visited the Philippines; and the following year he announced to the nuncio, Bishop Carmine Rocco, PIME’s willingness to accept the proposals for a new missionary commitment. The first to arrive on December 6, 1968 are Fr. Pietro Bonaldo (formerly a missionary in Hong Kong), Fr. Egidio Biffi (formerly a missionary in Burma), Fr. Pio Signò (expelled from China), Fr. Joseph Vancio (USA) and Bro. Giovanni Arici. The first experience in Manila traumatically concluded. In the following years the Institute concentrated its presence in Mindanao: Siocon, Sibuco and Sirawai (with Fr. Biffi, Fr. Di Guardo and Fr. Biancat) are the first destinations of PIME members. Starting in the 80’s, the work in the diocese of Kidapawan, in Tulunan, Columbio and in the Araan Valley, began. In 1981 the missionary activity began in what was then the Prelature of Ipil (nowadays the Diocese of Ipil). The first parishes were those of Kumalarang and Siay. In this area, over the years, PIME founded three new parishes: Lakewood, Payao and Sampoli. In 1984 the experience of the “Silsilah” movement took off, which, in addition to the founder, will see the presence and collaboration of Fr. Salvatore Carzedda and, for some years, that of Fr. Paolo Nicelli. In the mid-1980’s, PIME faced new challenges: mainly that of an urban reality in a metropolis like Manila. The need to have a “point of support” in the capital, near the airport. This offered the missionaries the opportunity to open a presence in Paranaque, an urban parish of Manila: the pioneers were Fr. Giulio Mariani and Fr. Gianni Sandalo in 1985. A few years later, again on the subject of new challenges, it was up to Fr. Marco Brioschi, who had worked in Taiwan with migrants, to try to take on a social emergency (almost 10% of the Filipino population works abroad) towards which the local Catholic Church had shown increasing attention. 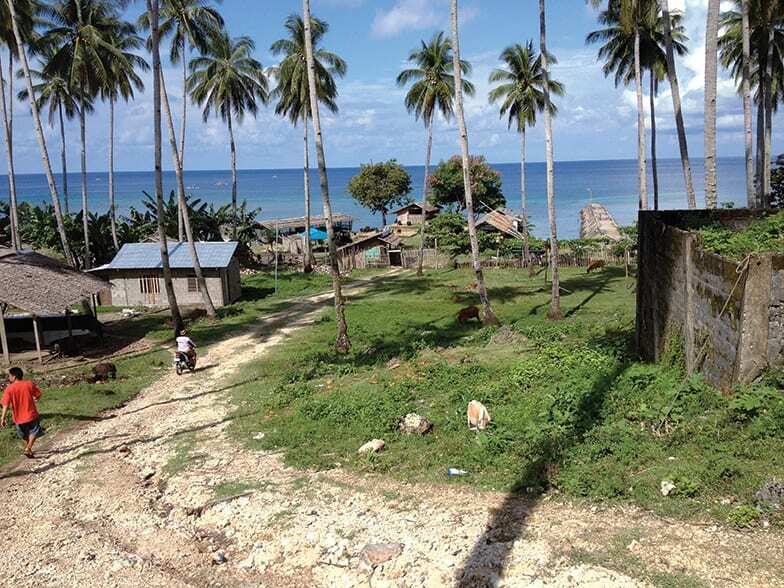 Looking back over the half century of PIME Mission in the Philippines, we cannot forget two important initiatives in the field of formation: the activation of the “Euntes” Center in Zamboanga from 1992 to 2011, an appreciated place of missionary formation for the Churches of Asia, where Frs. Corba, Bruni and Mariani worked; and of the international seminary opened in Tagaytay, near Manila, closed definitively in 2013.